Roadside maintenance can be environmentally damaging, requiring frequent mowing and pesticide application. Iowa's TE-funded Living Roadways program, by contrast, uses environmentally friendly techniques to manage roadside areas. Native grasses, trees and shrubs are planted and allowed to flourish along road and trail sides, helping to restore Iowa’s native prairie habitat, control erosion, and beautify the scenery. A nonprofit organization, Trees Forever, works with the Iowa Department of Transportation to administer the program. Trees Forever receives grant applications from small local communities with populations around 10,000 and provides administrative support and technical assistance to get local projects off the ground. Matching funds are provided by the local communities or by other organizations such as the Iowa Living Roadway Trust Fund, established by the Iowa Legislature in 1988. Several hundred projects have been funded through the program and millions of TE dollars have been spent. 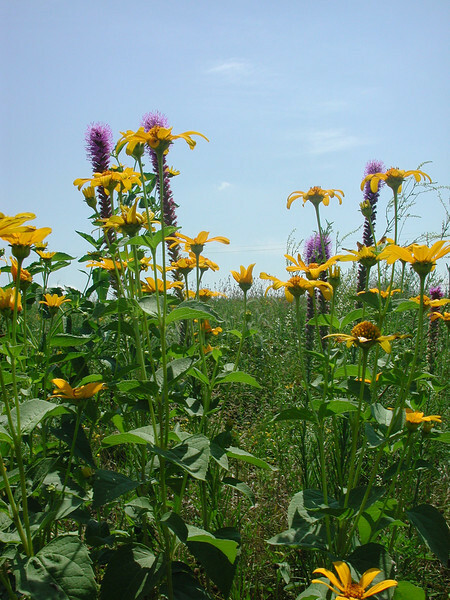 The number of acres of roadside habitat restored thus far is greater than the combined acreage of Iowa’s state, county and city parks. In 2003, the Federal Highway Administration honored Iowa's Living Roadways program with an award for environmental excellence.